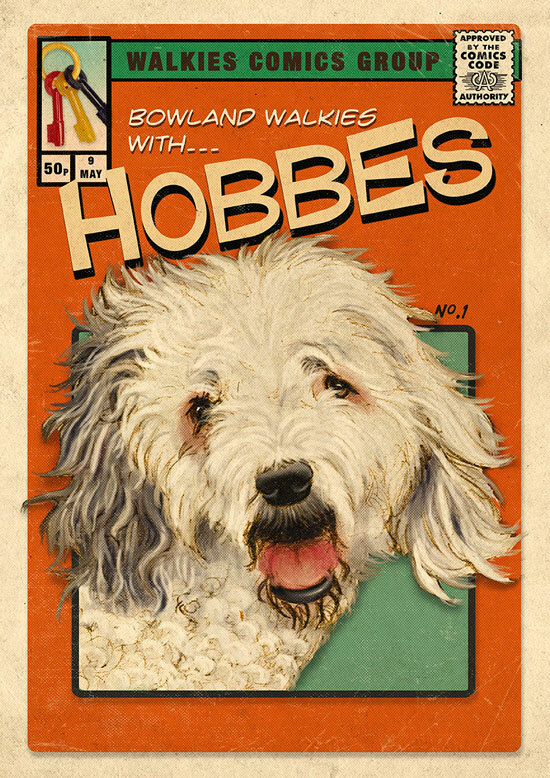 The client wanted one of my comic book covers featuring their Old English Sheepdog Hobbes. His favourite thing in the world was a set of plastic keys which he had had since he was a pup. These appear in the corner art of the comic cover. Pencil sketch, scanned, rendered in Photoshop.